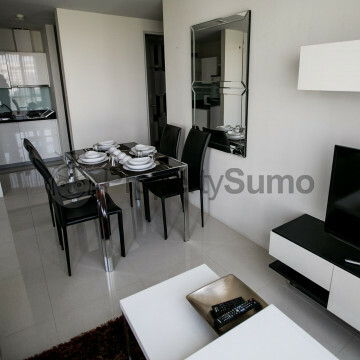 This brand new building boasts a strikingly modern style that is sure to impress serviced apartment hunters. 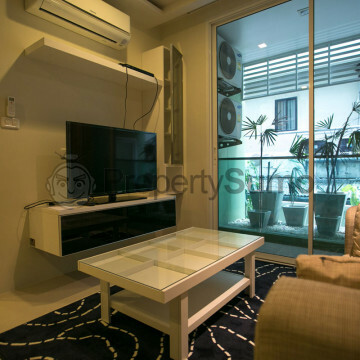 Each of the spacious fully furnished serviced apartments has been created in a modern style with retro overtones that artistic home hunters are sure to love. 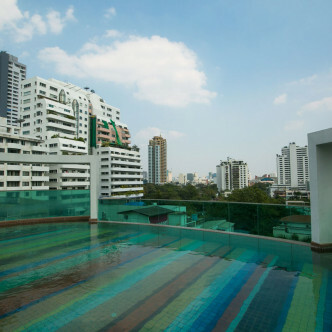 The rooftop swimming pool offers residents the chance to take a dip while enjoying views of the Bangkok skyline, while golf fanatics will be able to work on their game at the onsite golf driving range. 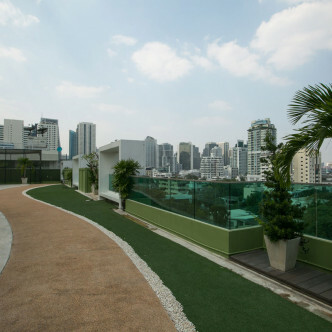 Other facilities at Beverly 33 include a modern fitness centre and a park to unwind in. 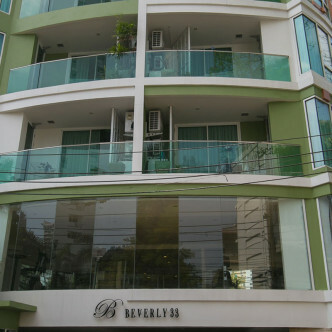 Beverly 33 is boasts a location in the popular Phrom Phong district of Bangkok just minutes away from the Phrom Phong BTS station. 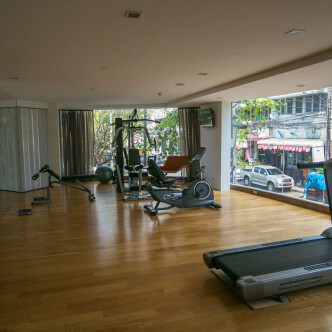 Western-style bars and pubs like The Londoner provide exciting evening entertainment, while Villa Market is a great place to shop for high quality food and beverages from around the world. 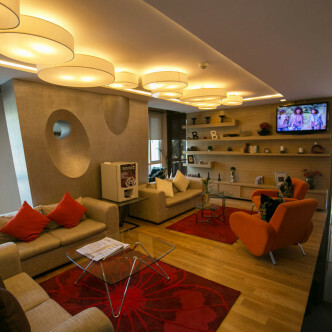 These serviced apartments area ideal for busy professionals who simply don’t compromise on style.